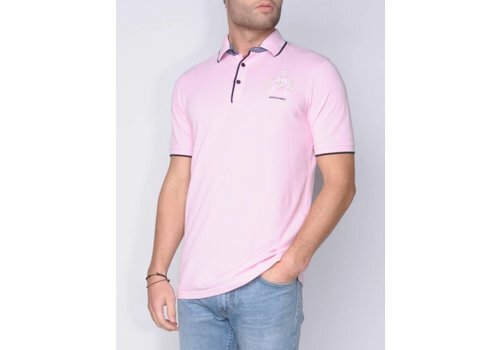 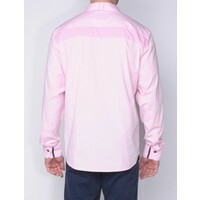 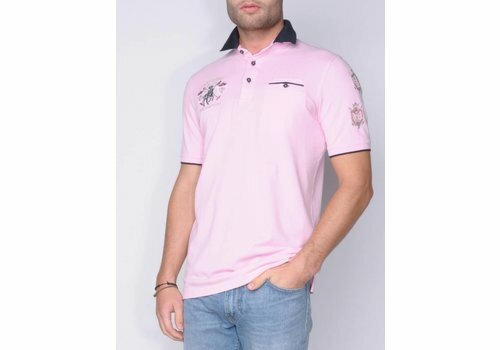 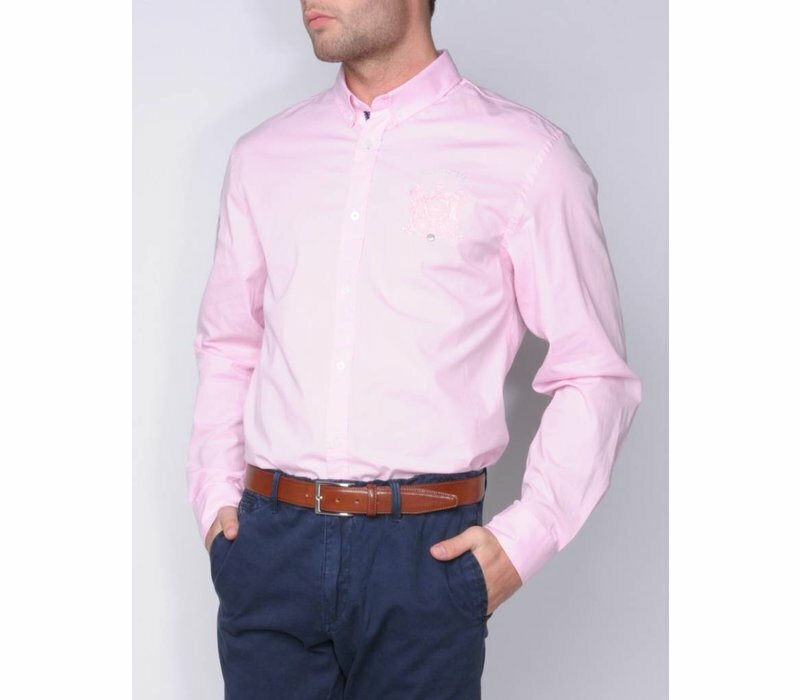 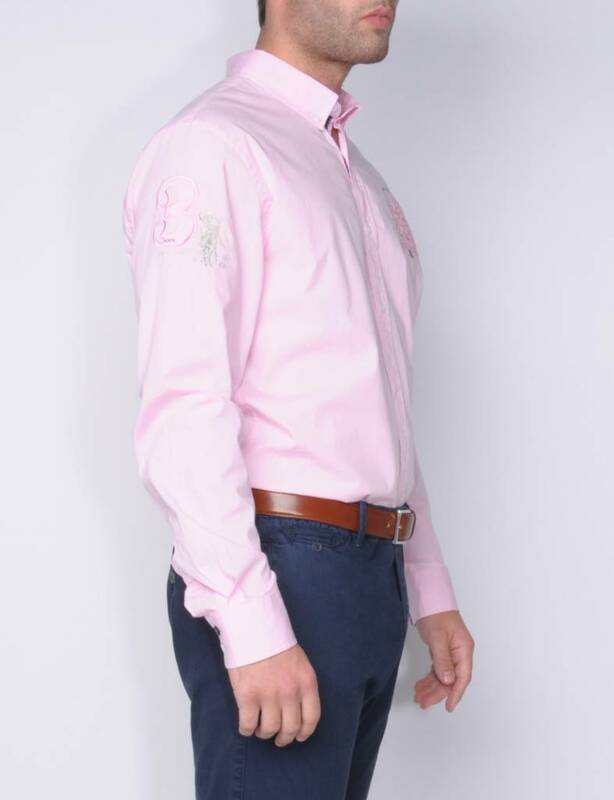 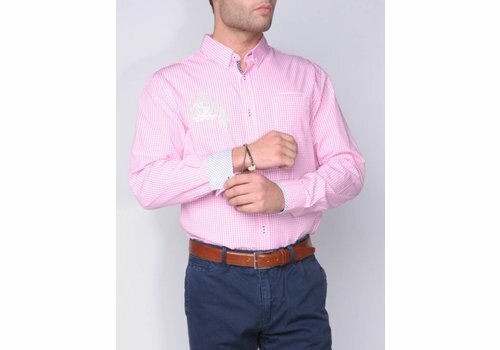 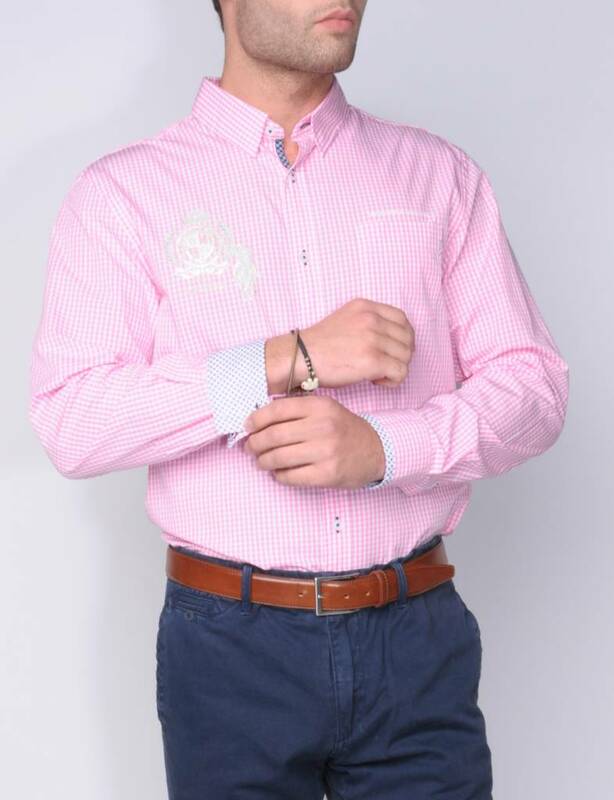 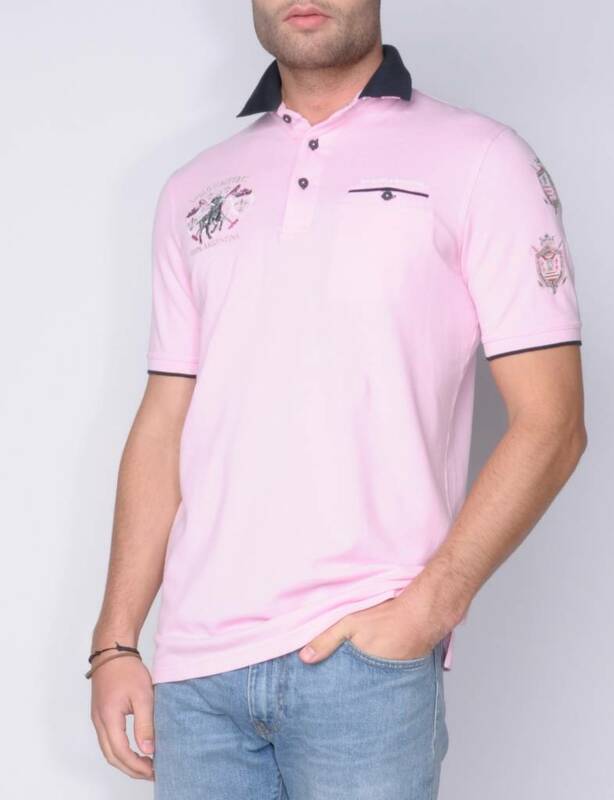 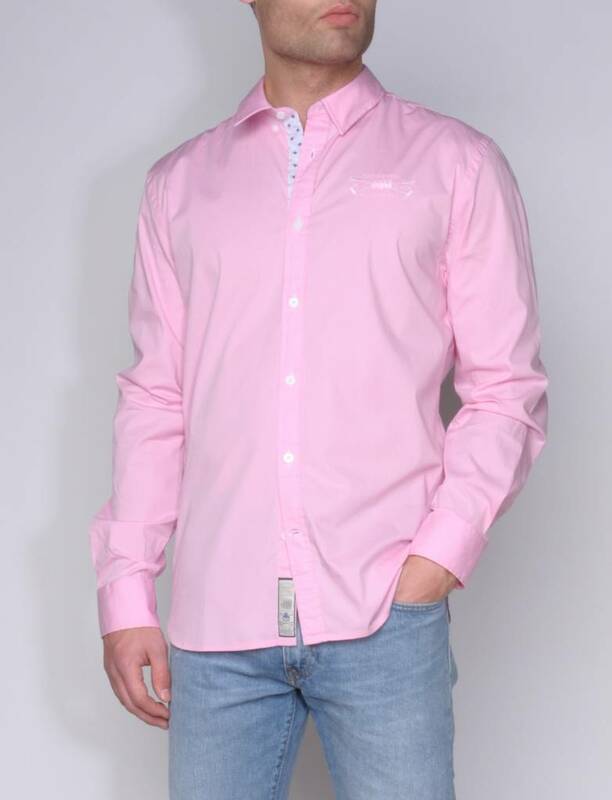 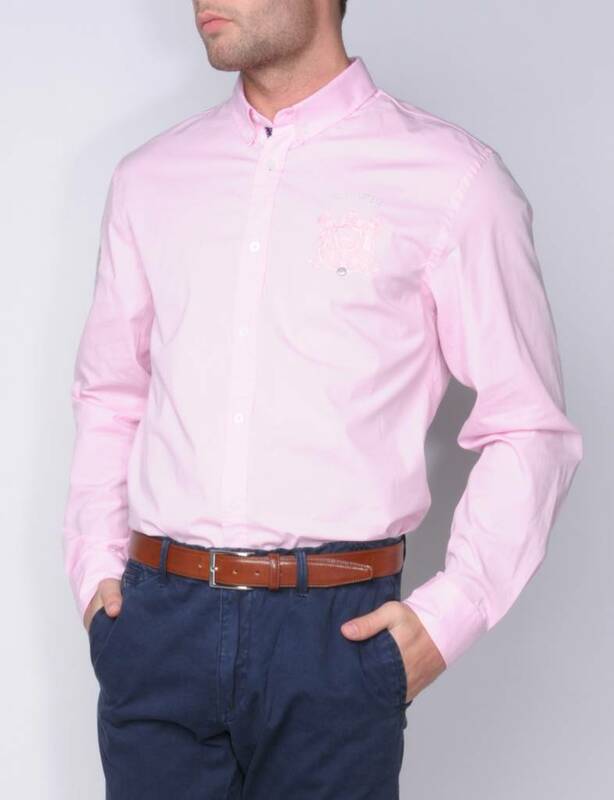 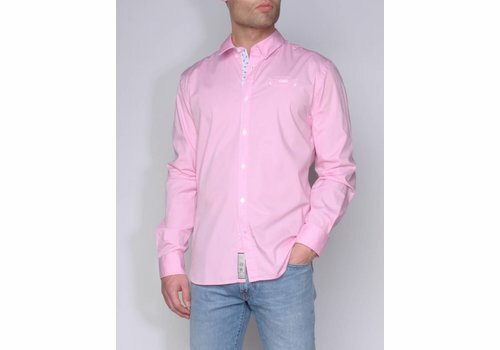 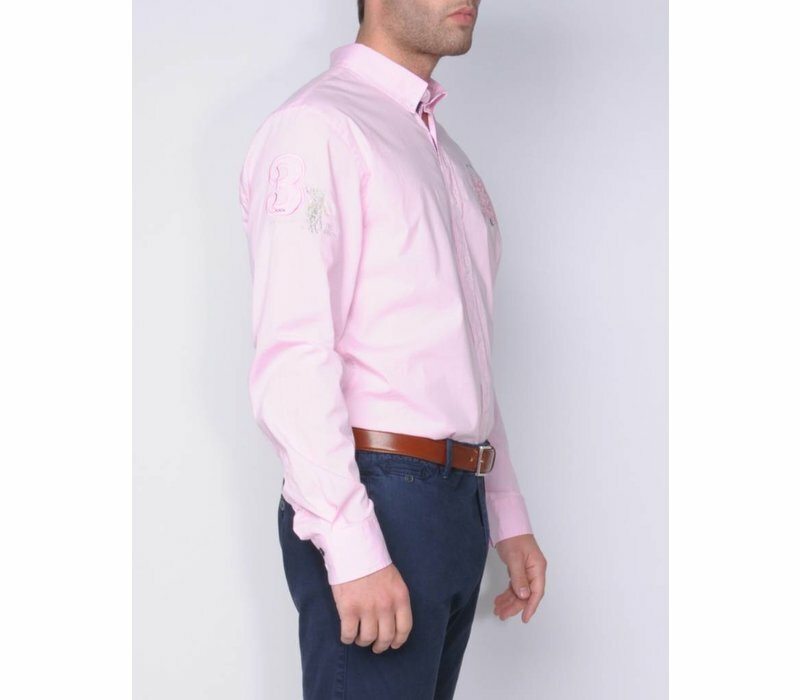 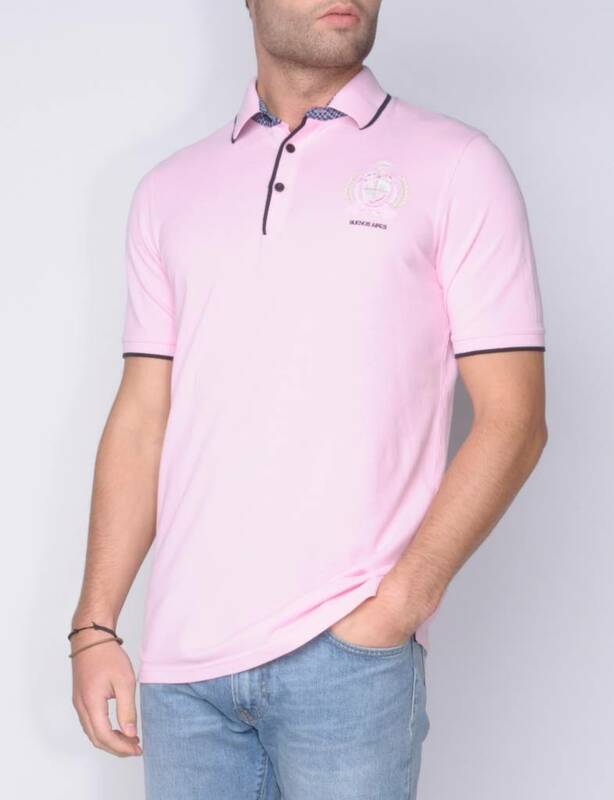 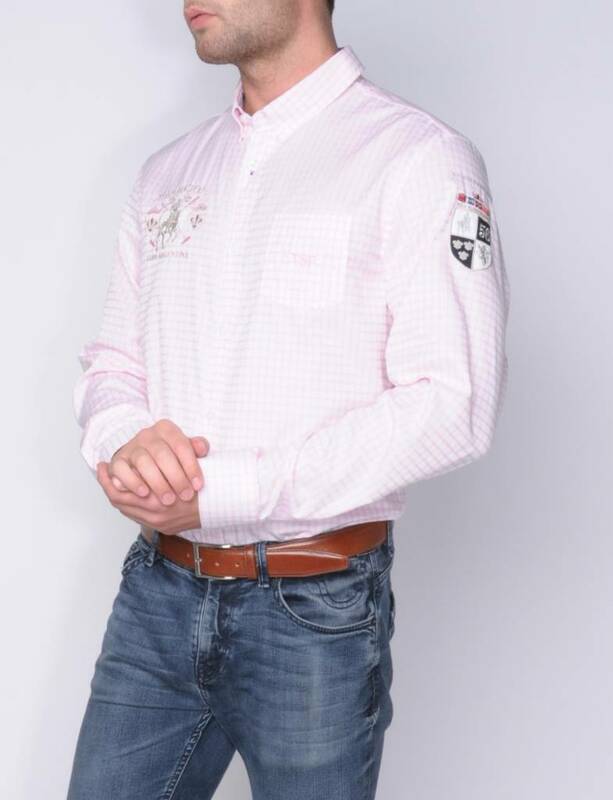 Trendy pink polo shirt with chest pocket, small button closure and with tape finished side slits. 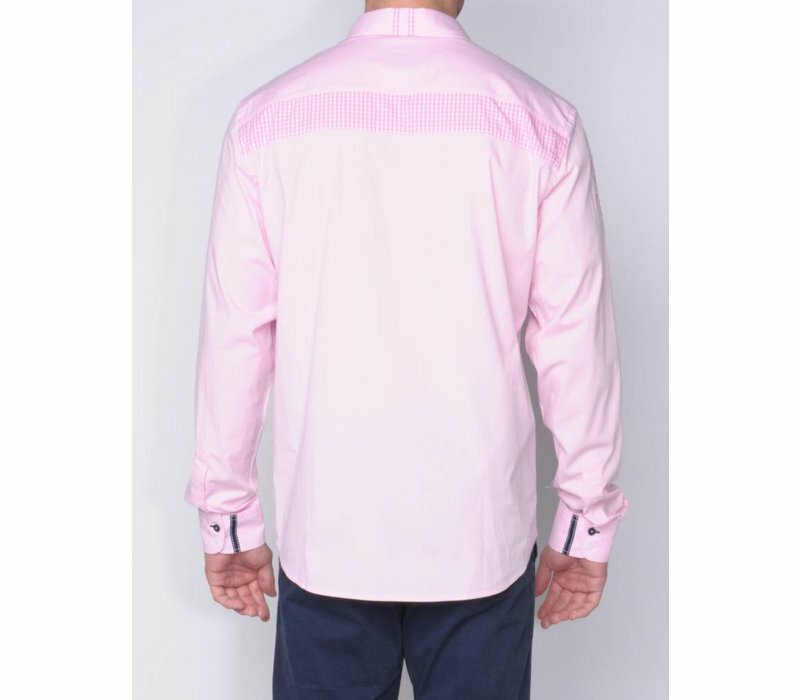 Inside rib collar with stripes in middle navy blue/pink/white. 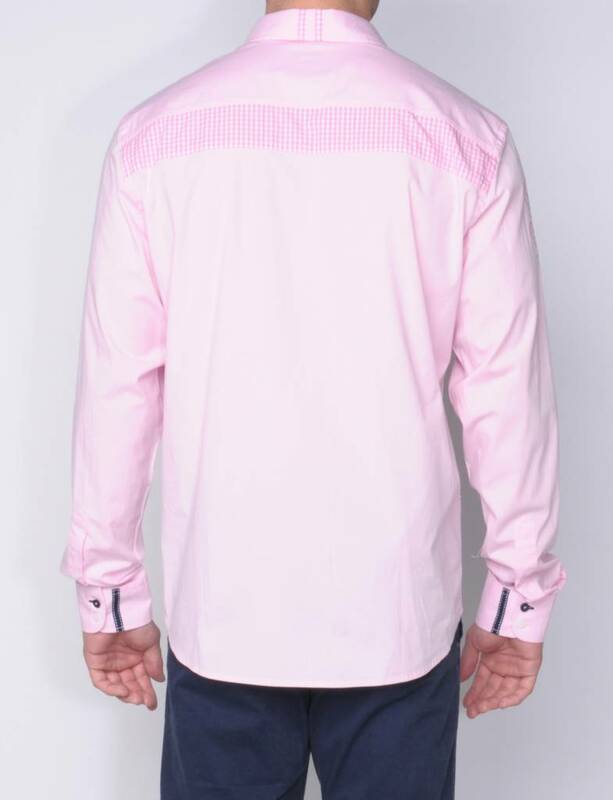 Chest pocket with contrast stripe in white.